Two girls from Greece travel to England to study and get away from their oppressive widowed father. A young male student they meet there brings the definitive rupture. On the one hand there is the transition from the father to the lover, and on the other, the flight from the haunting past. Who said it is easy to grow up? Duration: 100 mins. Cast: 3 female, 2 male. 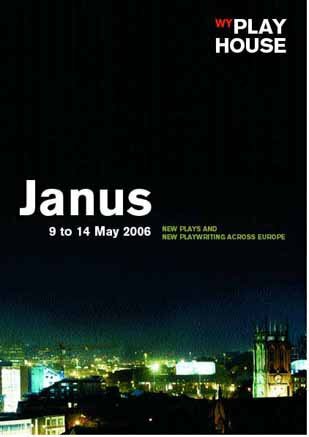 1st reading: Janus Project for New Plays and New Playwriting across Europe, West Yorkshire Playhouse, 2006, Leeds (in cooperation with BBC Northern Exposure and Bradford’s Theatre in the Mill). Directed by Alex Chisholm. Translated by Tajinder Singh Hayer. Published at Playhouse Quarterly, April to July 2006 (excerpt).